We've all seen those five-star lists. Critically-acclaimed album this and blah-blah-blah album that. And I get it. I appreciate the opinions. They're fun to read. But sometimes you just have to judge an album on a different scale. Like how much you actually play it. And how much you enjoy it. Sometimes...you just have to let your own ears be the judge. 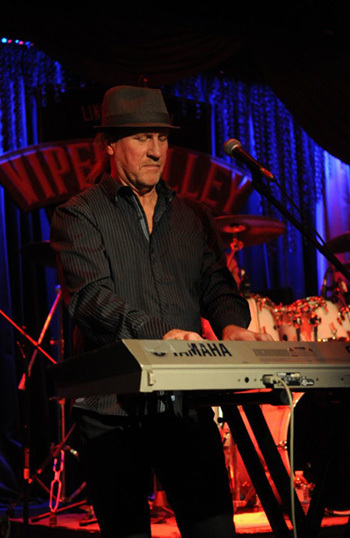 So when Roger Boyd's keyboards explode from out of my speakers to kick it in gear...I feel better. My car drives better. I get better gas mileage. Pretty simple, really. 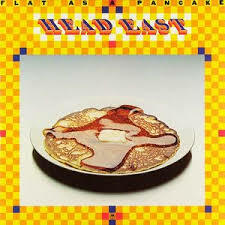 Casey Chambers: "Never Been Any Reason" is the opening track from Head East's debut..."Flat As A Pancake." (1975) And your keyboard really strikes the match for the rest of the album. How did you get your keyboards to sound the way they did? Roger Boyd: The synthesizer part came from the kind of oscillators that were in my instrument which, by the way, you can't buy anymore. I helped get the Moog franchise for a big music dealer up in Champaign, Illinois. The instruments were so new, they didn't even have a franchise and I got one of the first 50 ever made when the minimoogs came out. And they sound like that because the oscillators drift. And it was only those old oscillators that did that. They changed that synthesizer not too long after because of the drifting problem...but now they sound different. So it was the unique instrument itself doing that. We had a specially designed Hammond and my keyboard tech had it pushing two big Leslies with crown amps and all kinds of speakers and stuff. The Minimoog sound is really unique and anytime I play a show, people come out...road crew guys and sound guys...and they'll want to take a look at that synthesizer. I mean, it's one of a kind. Casey Chambers: Oh man. It's absolute signature. Did you guys know you had captured lightning going in? Roger Boyd: We knew the song was pretty magical 'cause we'd been playing it at the clubs quite a bit and saw how people were reacting to it. But FM radio wasn't huge yet. AM radio was still the bigger market at the time, so we actually thought "Love Me Tonight" would maybe be the biggest hit off the album. In fact, one of the executives at A&M Records wanted us to let the Bay City Rollers do "Love Me Tonight." Casey Chambers: Oh, I didn't know that. Roger Boyd: Yeah, and we declined because if they would have done it, then we couldn't record it. And we didn't want to do that. Although really in retrospect, there may have been some upsides to letting them go ahead and do it. They were really hot at the time. And it might have brought more recognition to our band...the kind of songs we were writing. Who knows? Casey Chambers: Outta the gate, you'd have to weigh the pros and cons. But you guys wisely hung on to it and the song became a radio staple on stations everywhere. Just a fantastic song! Roger Boyd: Yeah, I mean, "Love Me Tonight" has done really well for us. But I think they (BC Rollers) would have probably taken the song into the top five. I mean, who knows? Casey Chambers: Maybe. But it would've gotten there without any balls. 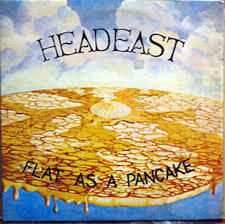 (laughs) Your debut album..."Flat As A Pancake" (1975)...was initially released on an independent label, right? Roger Boyd: Yeah, at the time everybody told us that we just couldn't do our own album and be successful. And the more people told us that...the more we believed that we did have a good album and that it could be successful. And it would be a big story. So that's what we did. It was our own label. (Pyramid Records) We put up the money for the album. Recorded it. Had it mastered and pressed. And we were selling it out of the back of our car. And actually, it started becoming a hit for us in St. Louis and Kansas City while it was still on our label. Most bands at the time were trying to do records and not spend very much money. We spent a bunch of money on ours. So ours really sounded...it could compete with the stuff that was coming out of Los Angeles, New York and Nashville. Rather than doing a demo kind of album, we did an 'album' album. An actual album like you would do in a big studio. And we obviously had a lot of success. It made our career. Casey Chambers: Yeah, well how did A&M come into the picture for you guys? Roger Boyd: Well, a couple of things. We had the album. And we went to Contemporary Productions which was the big concert promoter in St. Louis to see if they were interested in managing the band, which they were. And they put us on some shows. But the other thing was, Commerical Music...which was an independent distributor in St. Louis...was the first music distributor to sell Herb Alpert albums. They helped get A&M Records started. And the guy who owned Commercial Music called up Herb Alpert and said I want you to sign these guys. Casey Chambers: And then it just took off from there. Roger Boyd: It took off from there. That's correct. Casey Chambers: The original album design changed when A&M took the reigns. What was up with that? Roger Boyd: Well, it kind of missed the point of the title. The original cover...we had an art student in Champaign do it..cause we were from Champaign, Illinois. Us...REO (Speedwagon)...Dan Fogelberg. I mean, Champaign had a great music scene. And our album had a pancake floating in the sky. Like when everyone thought the world was flat. Syrup was dripping off the side. And the patty of butter was the assembly hall in Champaign, Illinois, which is where the University of Illinois basketball team played. So everybody got it. We were coming back from Chicago one morning after playing in the clubs...we played 'til about four in the morning. And we were driving through the cornfields of Danville in Central Illinois and our drummer Steve Huston goes, 'My gosh, it's as flat as a pancake around here.' We go, 'Ahhh, that'd be a great title for an album.' (laughs) So, the title of the album had to do with the fact that we were from Champaign, Illinois and it was flat. When A&M changed it to eating all those pancakes and everything...well, that...was...different. Roger Boyd: I mean, they said, 'this is what we're gonna do.' And ya just go, 'okay.' Personally, I would have rather kept the similar meaning behind the album myself. But that's alright. Casey Chambers: I have yet to come across one of those original album covers. But they look awesome. Roger Boyd: That it does! (laughs) And it was really weird trying to shoot the picture for the back of the album. We were so hot in St. Louis then, that we couldn't find anybody to let us shoot it. And about 30 places turned us down. Finally, the Rite-Way Diner in Olivette (Missouri)....they finally agreed to let us do it. And there were people all over the place outside in the parking lot while we were trying to shoot. It was pretty crazy. Casey Chambers: Is that diner still around? Cause if it is, I've got to add it to my rock-n-roll bucketlist. Roger Boyd: It is still there. People go to it. It's still got pictures on the wall. A jukebox. Oh yeah, it's still there. Casey Chambers: Excellent. Another killer song from your debut is the party-pleasing..."Jefftown Creek." It's a deep-cut little diamond that has you kicking things off with some tasty keyboard splash. Roger Boyd: That was Steve Huston's song and he wanted me to provide an intro. It's just about a little campground down here in Southern Illinois. It was kind of an adlib. A freeform thing that I put on the beginning of it. I tried to make it sound like people coming out to be happy. "Jefftown Creek" was kind of about the first time we went down and smoked...got stoned. And that song, to this day, is still one of our most requested songs. People love it. The song has some great parts to it. I'm glad that you enjoy the keyboard intro. Again, that keyboard can put out some really heavy, overdrive sound. Casey Chambers: "Jefftown Creek" is also a joy to hear live. 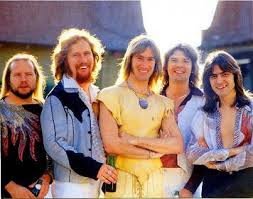 In fact, Head East has long had a reputation for being a great live band. Roger Boyd: Yeah, we've always been considered one of the better live bands on the road. And to me, I think we sound better when we just set up (in the studio) like we're playing live and record. We just capture more energy and more of that excitement Head East is all about, when we record that way. Casey Chambers: What led up to you guys recording the album in the first place? 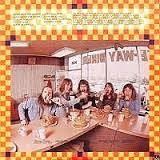 Roger Boyd: Well, about 60% of the songs that were on "Flat As A Pancake," we had already been playing in the college clubs for about a year. But let me back up a little bit. On August 6 of '69, we played our first show ever. And that was with Steve (Huston/drums), John (Schlitt/vocals), myself, my brother Larry (Boyd/bass) and another guitar player. And we got real hot. We broke overnight. The hottest thing in town. By January 1, we were starting to do original songs...but we hit a wall 'cause John and Steve wanted to finish college. And the rest of us didn't. We wanted to keep going. When they left the band, for the next three years, I had a couple of different line-ups that had a female vocalist and a male vocalist. Really good bands. In fact, one of the gals did two stints on "The Tonight Show" and she was doing really well in Los Angeles, but then she was tragically killed. But we were doing all kinds of different stuff. From Tull to Jefferson Airplane. The Stones. We were a great cover band. So, it wasn't until the summer of '73 that John, Steve, myself, and Larry all got back together. We started committing ourselves to getting songs together with the express purpose of recording an album. And for the next year, we started trying out all the songs. "Jefftown Creek," "Never Been Any Reason," "Love Me Tonight," etc. In 1974, we were ready to record. Dan Birney came in to play bass, because Larry left. He had a job and was married and didn't think he could risk the money at the time. Oh, and Mike Somerville (guitar) had joined us in '73, as well. We rehearsed around the clock for about two...two and a half weeks. I mean, eight, ten, twelve hours a day. So, when we finally walked into the studio to make our first album, we already had everything worked out. We had the harmonies worked out. We had all the parts worked out. We recorded the album in less than a week. Casey Chambers: That's really working the clock. And it paid off. The album's an absolute highway necessity. Roger Boyd: Well, spending months and months and months working on an album, I just don't think that works as well for Head East. It didn't work quite as well on some of our later albums. Casey Chambers: Where did you guys record "Flat As A Pancake" anyway? Roger Boyd: It was recorded at Golden Voice Studios in South Pekin, Illinois. Yeah, it's not there any longer. It burned down a long time ago. Casey Chambers: Crap, not what I was hoping to hear. It's the old "some stupid with a flare gun" all over again. Before I let you go, I want to say...I've also played the wax out of your..."Head East Live!" album. One of the great, and underrated, double-live albums, for sure. Casey Chambers: Roger, thank you very much for taking the time to hang out and sharing some cool classic rock stories. Can't wait to see you guys out on the road again. Roger Boyd: Oh absolutely! It's always a treat to talk to you Casey, and anytime we have more time, give me a jingle. And yeah, we will be touring this summer as we do every summer and hopefully, we'll see a lot of fans out there.